Blended learning is on nearly every school or district leader’s mind. While this approach is not brand new, widespread understanding of its true power has yet to be realized. There are often different interpretations of what blended learning truly is, and what it is not. As a teacher and district leader for a combined 20 years, I decided to leave Chicago Public Schools after realizing that the challenge of preparing students for the 21st century was not being addressed by existing solutions. I wanted to build for fellow educators what I never had as a classroom teacher: a rigorous personalized literacy platform that engaged students in critical thinking. So I ventured into the wacky world of startups and life as an entrepreneur. Over the past four-plus years, I have noticed that several entrepreneurship principles also apply to teaching and learning. In many ways, educators behave just like entrepreneurs: pivoting when something does not work; prototyping new ideas quickly; and learning from mistakes. As you read this guide, I hope you will take my experience as a former educator-turned-entrepreneur to heart. We owe it to the 33 million students in the United States who need to be college-, career-, and civic-ready to think differently about how we facilitate teaching and learning across our schools and districts. As former instructional leaders and teachers, we know district and school leaders everywhere are looking for the best ways to incorporate technology-supported learning into the classroom while ensuring that thinking humans remain at the center of instruction. After all, research shows that real-time, personalized feedback from a caring and engaged teacher is the single most effective way to improve student achievement. Simply adding technology to the classroom will not instantly garner engagement between teachers and students or improve the quality of learning; it is all about how that technology is applied to your instructional goals. In this online guide, we will review best practices for instructional leaders looking to personalize literacy instruction through blended learning. Implementing these concepts into your school or district does not have to be a monumental lift. In fact, this guide was designed to move us away from the “long journey” metaphors that are often attached to blended learning, while also offering structured support to leadership teams to be more flexible and decisive. Borrowing a few simple tactics from the entrepreneurial world, this guide will help you build a blended learning environment that supports your teachers in the classroom, keeps students engaged, and improves your school or district's approach to literacy instruction across all content areas. "What role can (and will) technology, teachers, and peers play in scaling this level of literacy skill development?" Introducing more technology into your students’ coursework should never serve as a replacement for the integral role that thinking human teachers and peers play in the classroom. Instead, technology should be used to support teachers with resources and tools that help them facilitate learning best practices and save time aligning content to standards, differentiating instruction, and more. When teachers are given the assistance and tools needed to personalize instruction for everyone in their classroom, students are given more opportunities to grow. Digital tools afford teachers the ability to customize learning in their classroom, increasing productivity among teachers and students, while also helping to save time and cut down on costs significantly (for instance, printing costs). This is what makes blended learning such an ideal match for improving literacy. With the right technology, teachers can quickly assign “just right” texts and tasks that are appropriate for each student’s readiness level and individual literacy needs. Now, teachers have a much-needed classroom aid, giving them the opportunity to personalize literacy instruction for every student. 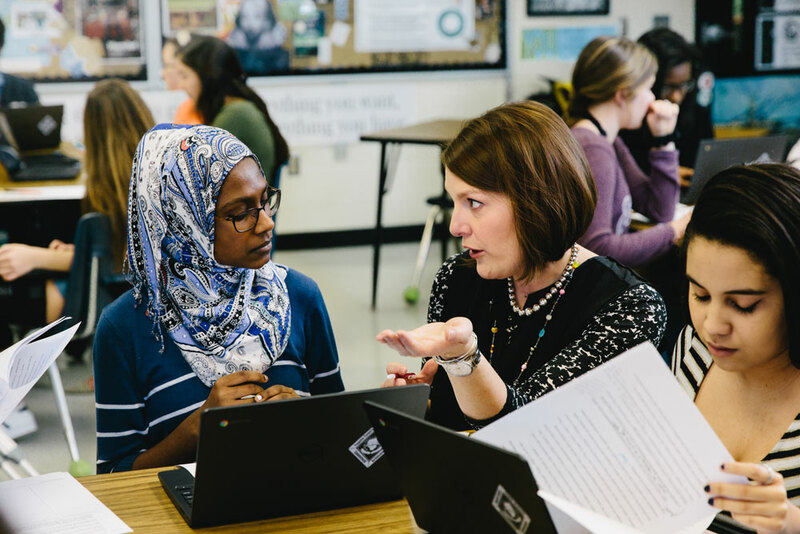 English department chair Maggie Walls provides personalized feedback to a McIntosh High School student in Peachtree City, Georgia. But the move toward tech integration needs to be matched to the instructional shifts teachers are being asked to make. For example, when it comes to implementing a rigorous, personalized literacy program across your school or district, it is important to note your team’s level of comfort with literacy instruction, and select the ideal technology accordingly. Decades of research from the University of Chicago confirms that reading and writing five or more times per month across subjects helps students become college- and career-ready. However, chances are not every teacher is as accustomed to developing students’ reading and writing skills as your English teachers are. So how are you going to meet their professional development needs while achieving your instructional goals? The right tools can make all of the difference in helping teachers feel adequately supported. In 2015, Georgia’s Fayette County Schools incorporated ThinkCERCA into its five middle schools as part of a blended initiative meant to boost literacy across the district. The shift—as bold as it sounds—required every teacher, regardless of content area, to view themselves as a literacy teacher. “We knew that we really wanted to change from the mindset of a reading class to a literacy mindset throughout the whole day,” Caroline Schmitt, the district’s Coordinator of Reading & Language Arts K-5, said of the initiative. By using a platform that provided their teachers with more support and guidance; adequate resources and texts; and reading-level appropriate, but still challenging work for students, the district was able to dramatically improve their students’ performance on state assessments. For the class of 2021 in Fayette County, the proportion of middle school students scoring “advanced” or “proficient” on the Georgia Milestones’ Extended Writing Task nearly doubled—rising from 36 percent in 2015 to 70 percent in 2016. Three blended learning and personalized literacy experts discuss creative and scalable approaches to designing and implementing blended literacy across a school or district. Blended initiatives require ongoing professional development for your team, to ensure that they are not only able to use the new tools you have selected, but are also enthusiastic about the benefits and assistance that the technology is capable of. What is more, administrators at both the school and district level should assess their teachers’ level of technology preparedness. Determining where your teachers are at in terms of tech-readiness, and what products you will be using in your blended initiative (and why), should happen before creating your professional development and goal assessment plan. To make sure teachers felt supported and comfortable in their blended initiative, Fayette County Schools trained teachers on the ThinkCERCA platform a few months before launch, held a refresher course just before back-to-school season, and hosted two additional professional development and literacy best practices trainings throughout the school year. Once your personalized literacy initiative has launched, create and follow an observation guide to ensure that teachers and students are actually using the new technology alongside teaching and learning best practices. 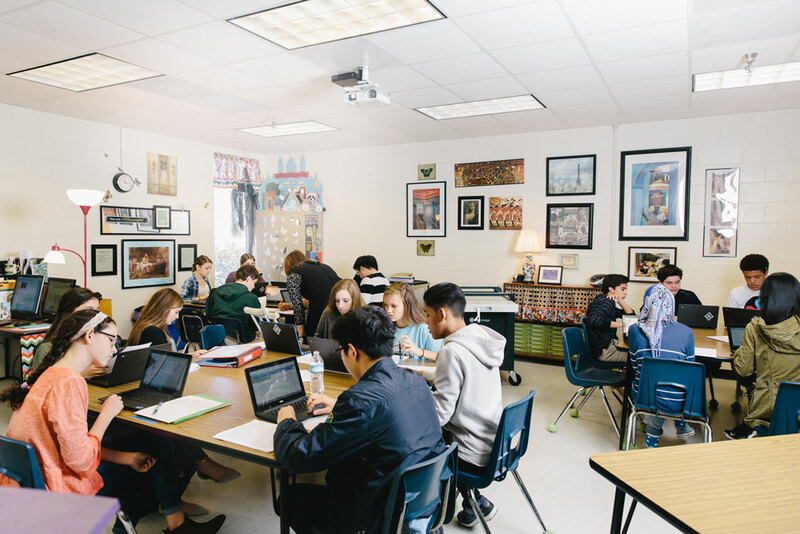 When technology is implemented appropriately into personalized literacy instruction, you should still see lively discussions and debates and teachers working one-on-one with students. Critical questions to consider are: Are students communicating with one another? Is peer review taking place in order to improve students’ writing? Is the classroom environment conducive to alternating between tech and non-tech parts of an assignment? Observe students, record what you find, and use that information to determine where your personalized literacy program is succeeding and where it needs further review. Learning environments are often overlooked, but are the fundamental building blocks to any blended initiative’s success. Every classroom in your school or district needs an environment that allows for easy integration and use of technology. But most importantly, these environments should allow for classroom layouts that vary based on learning outcomes. Classroom management is key to creating an environment that supports blended learning. Identify classroom management apps that give your teachers the ability to coordinate across multiple applications. Weigh the pros and cons of different online portfolio interfaces to find the one that would work best for your teachers and students. Model your digital classroom after your physical classrooms to make the transition between different learning styles as seamless as possible. Far from being a distraction, blended learning—when executed correctly—supports teachers in their day-to-day jobs while helping students achieve academic growth more quickly. In a study from Blackboard K-12, 59 percent of teachers reported that they saw an increase in student engagement after introducing blended learning into their classrooms. How can you strengthen your school or district’s approach to personalized literacy? Take our quiz to find out. But in order to have a true impact on student achievement, administrators and teachers need to make time for collaboration in addition to professional development. When teachers receive comprehensive training in tech, it makes for a much smoother implementation. However, teachers also need adequate time to collaborate with their colleagues across content areas for a blended literacy initiative to have long-term success. When teachers are given time to collaborate on unit planning and align on student needs, the more impact they can have on student growth. Good collaboration between teachers requires time and a clear focus or goals to work on together. Teachers from the New York area convene at Inwood Academy in Harlem to observe ThinkCERCA's personalized literacy platform in classrooms. In regards to curriculum, rigorous literacy instruction across content areas requires strategic alignment on topics, resource sharing among colleagues, and time to discuss and reflect upon those shared materials. When teachers work together to plan out activities and lessons across content areas, they share the burden of creating materials, which saves everyone time. Additionally, teachers need dedicated time to discuss how students are performing—where they are succeeding and where they are struggling in literacy—in order to make specific, actionable plans. Otherwise, teachers are working in silos and students are not getting the adequate support they need. Making time for this collaboration will require some creativity on behalf of instructional leaders. Get creative with your schedule by taking a page out of Generation Schools' playbook. In "Reimagining the School Day," the Center for American Progress highlights innovative schedules for making the most out of the school day. 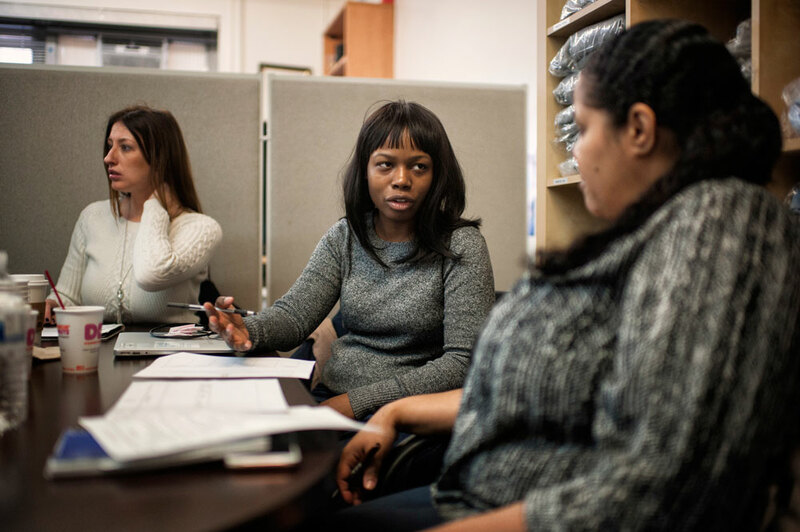 Generation Schools Network’s secondary school model creates up to 30 percent more learning time than traditional public schools in New York City and provides opportunities for differentiated instruction. It also reduces student-to-teacher ratios and overall teacher workloads to facilitate the development of supportive teacher-student relationships. Furthermore, teachers have more time for collaboration and professional development. 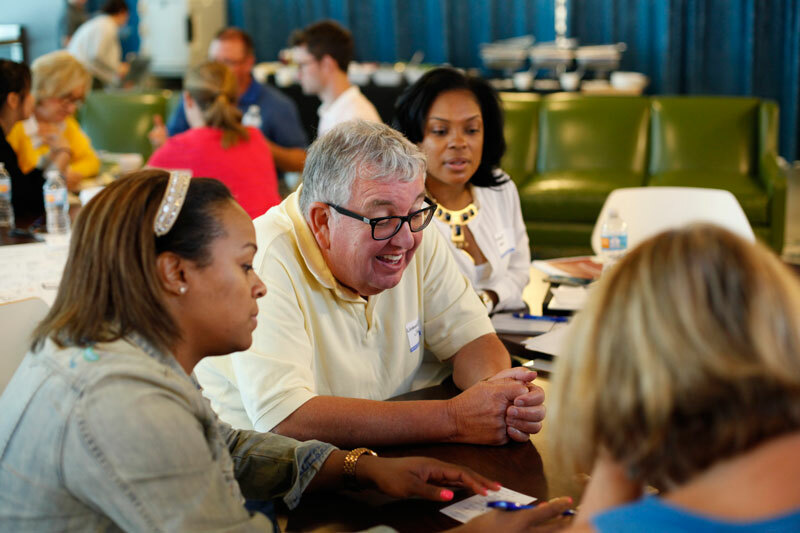 All teachers, as part of their approximately 180-day work year, participate in a one- to two-week Summer Institute dedicated to collaborative planning in preparation for the school year. 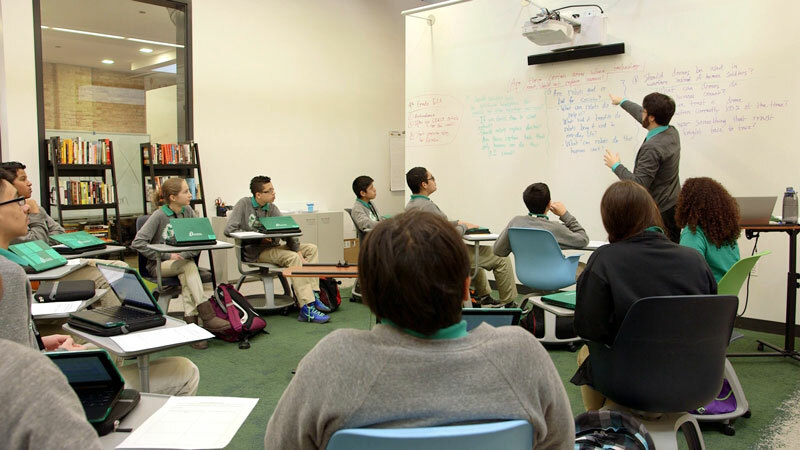 In addition, grade teams have two weeks of professional collaborative time staggered throughout the year when their students are in intensives. This is in addition to the collaborative time that teachers have every day. Not every student learns the same way. So let’s make classroom environments flexible and purposeful. In addition, practice what you preach: find the time to collaborate with teachers when they have questions or you have suggestions. Providing feedback to your team does not have to take up a tremendous amount of time. In fact, here are six tips for giving teachers quick and consistent feedback. In order to grasp the bigger picture of what a blended learning initiative can accomplish in your school or district’s drive to increase literacy growth, you have to understand each part that plays into the process. Breaking your personalized literacy initiative down into its components, setting data-driven benchmarks and goals, and executing on your plan collaboratively will better your chances for success—whatever success for your school or district looks like. Introducing an initiative that depends on the integration of technology alongside existing curriculum means successfully maintaining the relationship between tech and learning. Technology is constantly shifting and evolving—a blended-learning initiative needs to be just as flexible, with periodic updates, in order to remain effective. Going through the steps of researching, planning, preparing, and implementing a blended-learning approach, only to let it run its course into irrelevance in a couple years, is not a wise investment of time or resources. No matter what your school or district’s access to technology is, a successful blended initiative requires a commitment to tech over time. Start small! You do not have to incorporate technology into everything immediately. For example, select one thing that allows you to include technology in the classroom, such as accessing texts online versus on paper. Would reading texts online provide additional support and access to students learning English? If so, then provide the necessary technological resources. From there, support teachers with dedicated, ongoing PD then kick it up a notch. Note, starting small does not mean taking it slow. Consider it a quick test to identify what works and what doesn’t. Asking this question will help you identify where technology can help you fill instructional gaps and help make your teachers’ day-to-day lives better as well as more efficient. Will students be engaged in complex cognitive tasks? Does the product teach literacy across all core disciplines? Does it offer rich opportunities for peer-to-peer discussion and collaboration? In what ways can it be used to engage diverse learners? How can this product be used given my school or district's level of technology access? How will it fit in with existing curriculum? Will this product help prepare students for rigorous assessments? As we mentioned, start with a small, but quick, strategic test. When it comes to implementing a rigorous literacy program, that could mean implementing technology into your English language arts classes first, then slowly rolling it out to other content areas over time. This allows you to identify where you need to provide more support and helps you identify teacher leaders who can provide guidance to their colleagues down the road. Another option could include starting with teachers who have expressed an interest in personalized literacy—no matter their content. This leads to immediate buy-in and the opportunity for later adopters to have success stories to build upon. 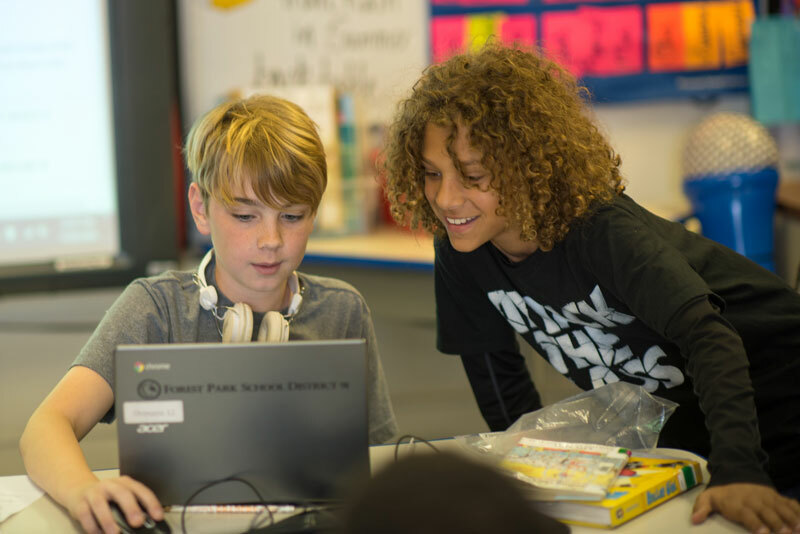 When it comes to incorporating technology into the classroom, it is easy to understand why the idea of "going slow to go fast" resonates with many administrators and teachers. As educators, we feel the grave responsibility of making decisions with taxpayer dollars and our children's future. But as we have highlighted before, “Students are with us for a short time and their life trajectories are changing faster than the systems that serve them.” To quickly prepare them for the demands of today’s rigorous assessments as well as life beyond the classroom, new approaches and practices are required. When launching a personalized literacy initiative, it is helpful to adopt and promote an agile mindset throughout your school or district. As leaders, this means supporting rapid experimentation, and even, failure. Tech entrepreneur Eric Ries, author of The Lean Startup–a book about successfully building and managing a startup with limited time, money, and support—offers five “lean startup” principles that are applicable to instructional leaders. The Lean Startup places an emphasis on rapid, continuous improvement versus waiting until everything is perfect to launch. Ries’s principles are important to keep in mind when starting any project that includes high stakes and limited resources. By doing so, you are more likely to get to the right solutions, for both teachers and students, faster and without wasting valuable resources. Give your teachers the hardware, software, and support they need to make the necessary pivot toward blended learning (covered in Chapters II and III) and devise a thoughtful plan for improving learning—rapidly!—along the way. Let’s take a look at the lean startup principles through the lens of launching a new personalized literacy program. Implementing a blended literacy initiative should not feel like the wild, wild West. Successful entrepreneurs are all about process, albeit unconventional processes at times. Teachers cannot be expected to adopt blended learning practices on their own time without school and district support. What defined systems or processes have you put in place to ensure teachers and students are getting what they need? Develop a feedback loop to continually improve upon your initiative. Implement your initiative, measure your results with concrete data, and learn what worked and what did not. Repeat this process at regular intervals to build upon your successes and keep the initiative effective and relevant for your students. The goal is to transform your organization into one that is focused on learning, not just teaching. Integrating literacy across content areas requires a complete, comprehensive strategy. As important as literacy is, teachers cannot be expected to apply it to their coursework without a process in place. From training to application to ongoing support, leveraging SMART goals throughout every step of the process will ensure that you and your team are using actionable data to iterate on your blended literacy program. SMART goals are those that are Specific, Measurable, Attainable, Reasonable, and Time-Framed. The takeaway from SMART goal creation is to avoid setting objectives that are general, unmeasurable, or vague, as well as setting goals that are realistic and attainable. For more about each specific goal, download our SMART goal guide. “Improve literacy skills” will not cut it. A more comprehensive and complete objective is one that is connected to an overall strategy, is specific and quantifiable, and runs over a defined period of time. “An average improvement of five percentage points on reading and writing state testing for the students in my district in the upcoming school year” is a goal that gives you and your team more direction—it is a SMART goal! Find out how your students are performing in literacy, how teachers are already using tech in their classrooms, what apps, devices, or software have been successful in districts or schools of a similar size and demographic. What do your findings tell you in terms of where your school or district is at currently and where they need to progress in order for blended learning to improve literacy among your students? If your literacy rates are falling while math is improving, that could mean your students would benefit from integrating literacy drives into your math or STEM lessons. Use the interpretation and implications of the data that you collected in order to set SMART goals and benchmarks for the semester, quarter, school year, etc. Identify tech tools and applications that will best help you meet your data-driven initiative. Part of having a clear rollout means being strategic about physical space. 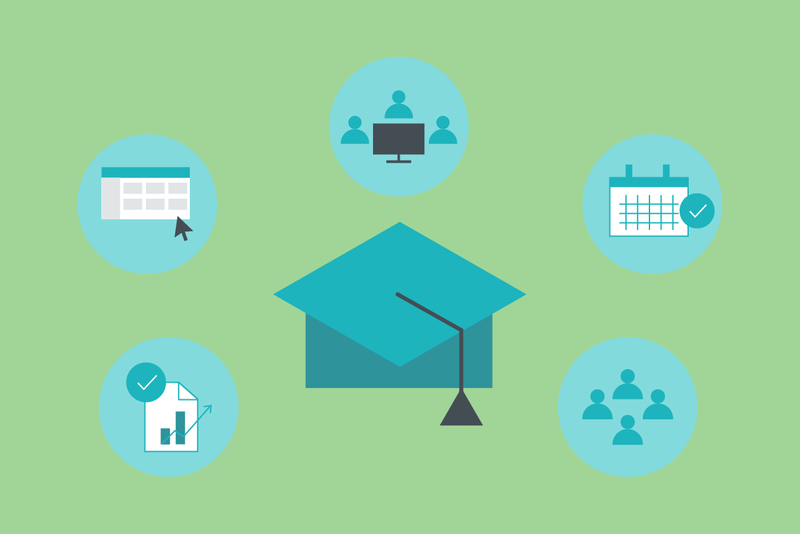 District size, class layout and distribution, department segmentation, and more all need to be accounted for when rolling out a blended-learning plan. There are certain common models of blended learning that you can use to determine which would work best given the space and size of your school or district. For example, flipped learning, where direct instruction is delivered to students online at home and homework or projects are worked on in class, has been shown to increase student engagement by 80 percent. This may not work for a district located in a low-income area if students do not have equal access to computers or the Internet in their homes. Evaluating the physical space of your district, but also the surrounding city, county, and state is crucial when shaping a blended-learning process. A resource like ThinkCERCA’s Planning Tool helps educators plan and execute classroom models that work best for personalizing literacy. The tool takes into account a number of factors that need to be considered for a blended initiative, like the school or district’s level of technology access, schedule, and instructional goals. 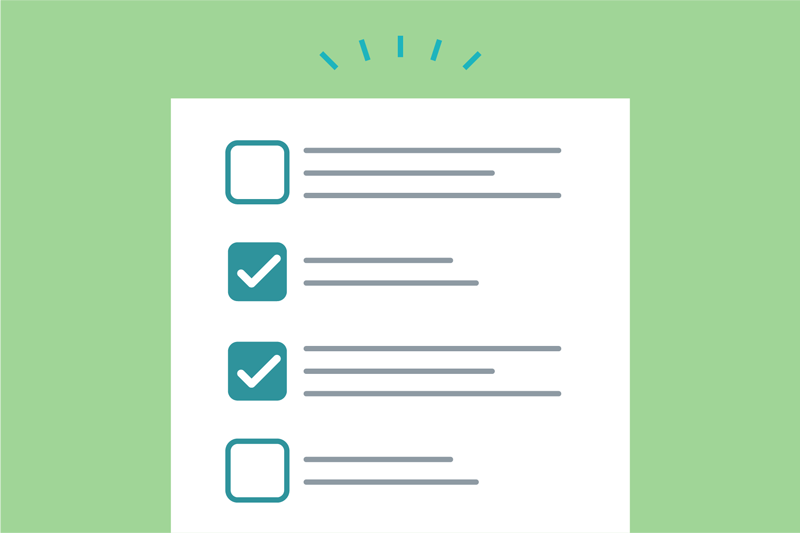 After deciding on an instructional model, the Planning Tool walks you through setting up a classroom with ThinkCERCA, and even gives you additional tips for customizing the model to your specific goals and constraints. Implementing a rigorous personalized literacy program across your school or district does not have to be a long and daunting process. With the right technology, support, processes, and mindset in place, you can set your team up for short- as well as long-term success. The rigorous demands of today’s colleges and jobs require that students think critically about the world around them. Using the concepts outlined in this guide, you will also be setting students up for success long after they leave your hallways. 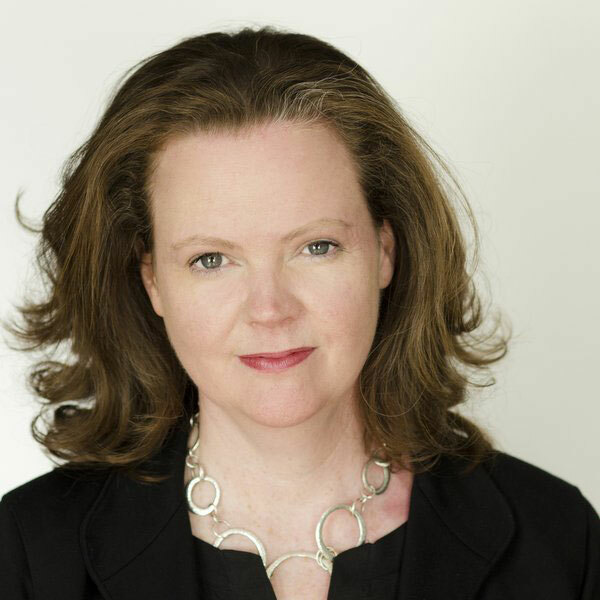 Prior to founding ThinkCERCA, Eileen taught English for 15 years and was the founding English Department Chair at Walter Payton College Prep. 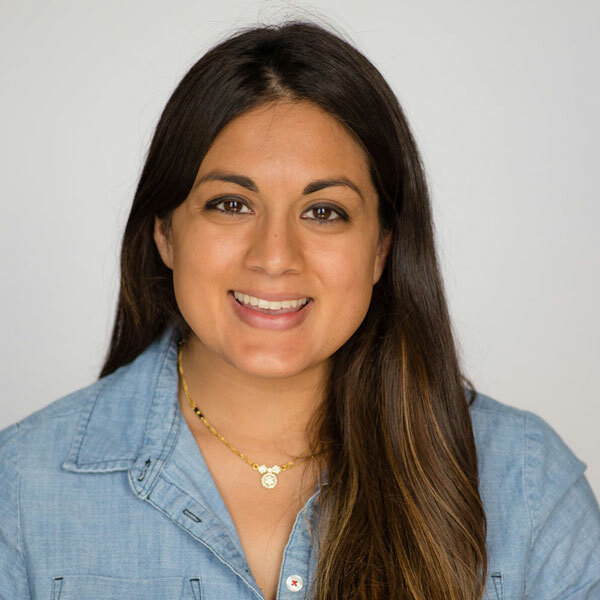 As the Director of Curriculum and Instruction for over 100 of Chicago’s highest performing schools, she became passionate about the role technology could play in developing students' critical thinking skills. She is also the author of 360 Degrees of Text (NCTE, 2011). ThinkCERCA’s personalized literacy platform helps educators teach critical thinking skills through argumentative writing. Our schoolwide approach to personalized literacy instruction prepares students in grades 4-12 for post-secondary life by building up their analytical skills in every subject.